Post from January 1, 2016 (↻ April 21, 2018), filed under Art and Design. Sometimes I’m an idealist, very much. Amidst all the wars we never wanted but our governments and industries wage and participate in regardless of our will, we threaten to lose sight of our goal. That goal, surely, is peace. That goal, clearly, is durable peace. That goal, indeed, is endless peace. Endless Peace is what I’ve had thought of for an ad hoc web art installation; Hello Endless Peace is what my good friend Asim and I made out of it. Endless Peace is an immodest nudge, a reminder, a memorial for us to nudge, remind, help us remember what we really want. We don’t want war. We don’t want industrialized murder, nor any kind of killing. We don’t even want arms. We don’t want revenge. We want forgiveness. We want cooperation. We want peace. Let’s remember. We want peace that has no end. 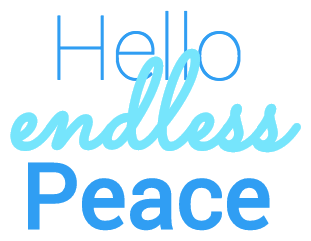 We want—endless peace. Thanks to Thomas Tributsch and his work on and help with endless.js. Those who notice the scrolling quirks on mobile and code like Thomas, Asim, and I do, ping us if you have suggestions for improvements.